Customizable Skins – Available in many colors and patterns, they allow Comfort Sync to blend seamlessly into any decor, so it’s as fashionable as it is functional. 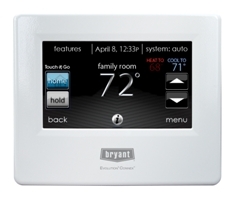 Remote Access – Allows you to check and adjust your home’s temperature from anywhere using your laptop, smartphone, tablet or other web-enabled device. 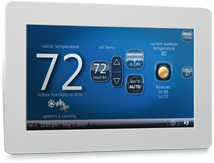 One-Touch Away Mode – Puts your system into an enhanced energy-saving mode when you leave.